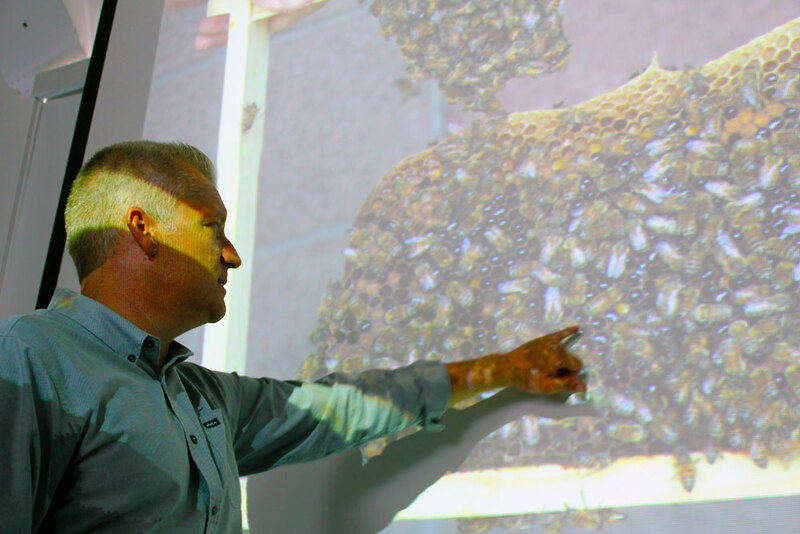 Director Victoria Vesna opened her honors class, Biotech & Art to visitors for a workshop led by visiting artist Jason Fahrion, who presented his art projects with insects as biological factories. Students and visiting scholars examined the silkworm life cycle and look at potential medical and artistic applications of the substances that silkworms produce along with the silk. They also learned about Fahrion’s work with honeybees and the local production of honey.